I found a link the other day to a government website with global mean precipitation data from 1900 to 2000. Of course, I can’t find the link now (please comment if you have the link, but first see the note at the end of the post). As global mean temperatures have risen, global mean precipitation also has increased. This is expected because evaporation increases with increasing temperature, and there must be an increase in precipitation to balance the enhanced evaporation (IPCC, 2007). Globally, precipitation over land increased at a rate of 1.9 percent per century since 1901, but the trends vary spatially and temporally. Over the contiguous U.S., total annual precipitation increased at an average rate of 6.1 percent per century since 1901, although there was considerable regional variability. The greatest increases came in the South (10.5 percent per century), the Northeast (9.8 percent), and the East North Central climate region (9.6 percent). A few areas such as Hawaii and parts of the Southwest have seen a decrease. Crops may flourish with warmer climes and more CO2. There is some indication that in California some trees are increasing their ranges in response to this change. While increasing temperatures do have their downside, they also have positive benefits as well. I have submitted this to the Record-Bee for my December Green Chain column. In 1901, while searching for giant clams for dinner, a Greek sponge diver named Elias Stadiatos found an encrusted bronze device near the wreckage of a 2,100-year-old Roman merchant ship. It was discovered off the southern coast of Greece near Antikythera (an-ti-ki-theer-uh) Island, so it became known as the Antikythera mechanism. Sophisticated imaging has revealed its elaborate gears and the inscribed names of places and months. It is an orrery—a mechanical model of the solar system. In a letter, Cicero describes such a mechanism which, “at each revolution reproduces the same motions of the sun, the moon, and the five planets that take place in the heavens every day and night.” It also computed equinoxes, solstices, phases of the moon, and eclipses of the moon and sun and, as an added benefit, the timing of future Olympiads. 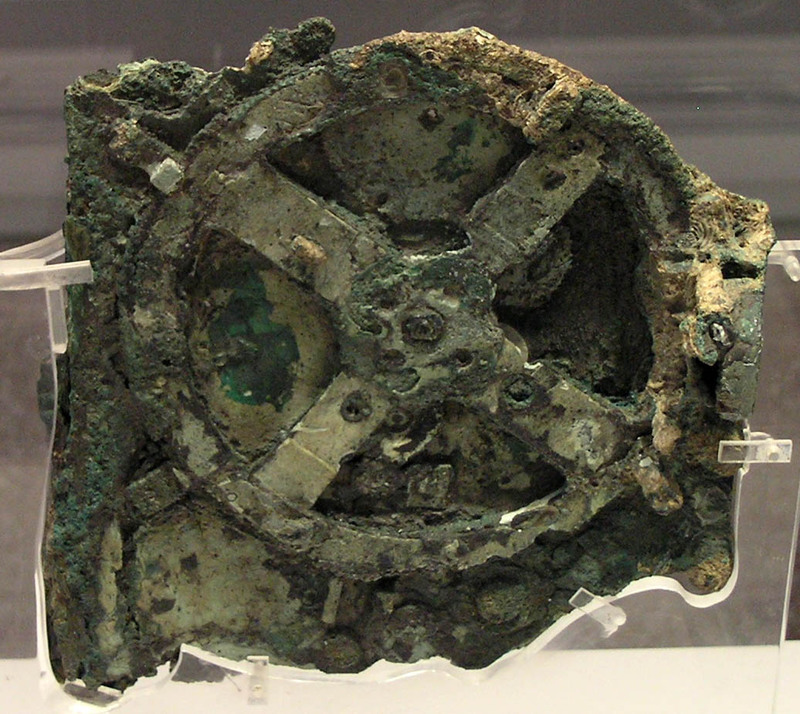 The Antikythera mechanism was a computer. So that’s the idea: damage occurs in direct proportion to the number of people and their affluence and technology. More effluence with affluence. It is “not rocket science,” according to biologists Anne and Paul Ehrlich. “Two billion people, all else being equal, put more greenhouse gases into the atmosphere than one billion people. Two billion rich people disrupt the climate more than two billion poor people.” Which is why North Korea makes a shining example and Eden-esque paradise. The idea of people being mere consumers and not innovative producers is probably as old as humanity. In 1798, Thomas Malthus wrote, “The power of population is so superior to the power in the earth to produce subsistence for man, that premature death (through famine, war, or disease must) visit the human race.” In other words, people breed until they exhaust all available food and all natural resources; so keeping human population in check is necessary. Note that in Malthus’s time, population stood just shy of one billion. Today it exceeds six billion. Malthus went onto computer chips in 1972 when a think-group calling itself the Club of Rome published “The Limits to Growth.” It is based on World3, an MIT professor’s computer model. The code that girded World3 followed the precepts of Thomas Malthus. Author Peter Huber explains one of World3’s subroutines: “Agricultural investment increased agricultural output, which increased birthrate but also pollution; pollution decreased agricultural output, and so on.” Instead of predicting higher temperatures as FotW does, the Limits to Growth predicted crippling shortages of gold, mercury, tin, zinc, petroleum, copper, lead, and natural gas within a decade. The shortages never happened. Now I have no window into our future and we should not be complacent, but let us consider what has actually occurred on this earth—not a model—since 1970. Despite the world’s population nearly doubling since 1970: we are three times richer (in real terms); the percentage of people in abject poverty has dropped more than two-thirds; we are better fed (the average person in a developing country eats nearly one-third more calories); forests still cover 99% of what they did in 1970; known mineral reserves have not grown too scarce; and, rather than shrinking, petroleum and natural gas reserves have more than doubled and quadrupled respectively. By the way, the world’s population growth rate has been falling since the 1970s; it is not expected to double and reach 12 billion, ever. So too, do World3 and FotW give flawed answers via their electronic gears and cogs. I am recommending a “Don’t Buy” for Fate of the World. Get a DVD of the old Soylent Green instead; in 40 years FotW futures will look as realistic as that movie does now.